A place we find the happiness and pleasure by is none other than the destination to the home. At present, to get the home, this comes easy anywhere but does not suffice to all the expectations everyone stands for. The better conveniences with peaceful environment have been a dreamlike. The growth in the population all over the globe is witnessed to never come with green and tranquil living. Seeing that Haryana Urban Development authority (HUDA) to have passed the proposal for Eight-lane expressway called as Dwarka Expressway makes to the capital city sure to an step away to come in, assuring the serenity and eco-living, altogether. 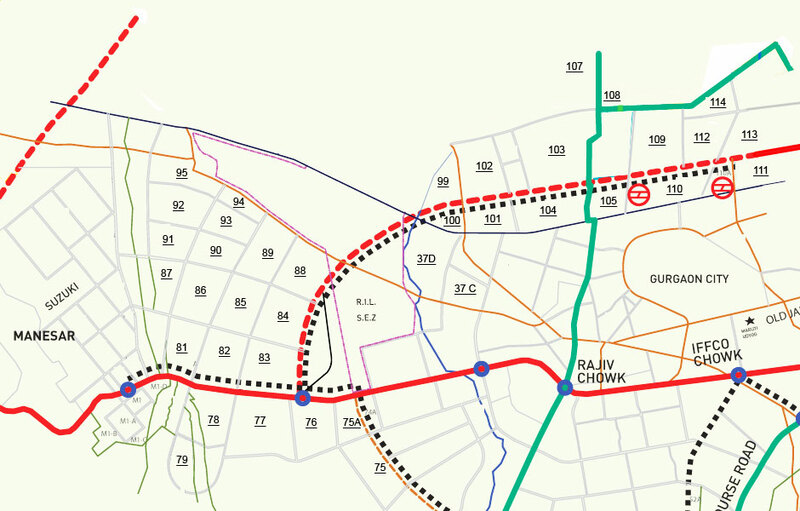 This 18km run of 150-metre wide road starting from Dwarka in Delhi, Palam Vihar and the approaching big SEZs in the millennium city joins to the NH-8 near Kherki Dhaula. Covering at least 16 new residential sectors, Dwarka Expressway or Northern Peripheral Road is liable to touch a commercial corridor, the Harsaru dry port and has been the strong expansion of IT and ITes. Close to the proposed diplomatic enclave, Delhi International Airport and the proposed metro, this expressway makes sure going to a long way in assuring the wonderful connectivity of the northern areas of the millennium cityas well as areas close to IMT Manesar. Also, entrusted to have been doubled to width of Gurgaon Expressway, this extensive road is likely to rid from the traffic burden, easily. As a result, the real estate builders such as DLF, Raheja, Ansal, Mahindra Lifespaces, Puri Constructions, Conscient, BPTP, Ramprastha, M3M and Emaar Mgf are convinced expressing their views to bring the upcoming projects thereon. In this portal, we introduce some residential projects coming on this eight-lane expressway (Dwarka Expressway). Also, we strongly propose these projects reliable in concern of luxury living and the investment preferences, altogether. There upon, to experience this well-intended of civic necessities. In addition to the availability of good infrastructure and basic facilities in the vicinity, connectivity today is a major deciding factor while buying a property. Road connectivity has a massive impact on real estate development and prices. It comes as a little surprise that Dwarka Expressway is poised to become the New Shangrila and centre of Gurgaon. It has become a significant real estate investment destination owing to its vast potential for robust growth and expansion in the coming years. It provides an immaculate blend of strategic location, varied residential options, world-class amenities and easy accessibility via infrastructure development in the area. The eight lanes, 150 meter wide and 18 km long Dwarka Expressway will be a boon to commuters travelling from Delhi to Gurgaon and Manesar providing them a congestion free travel especially when the Delhi- Gurgaon Expressway has witnessed higher-than-expected traffic volume growth. Due to its proximity to Delhi and unparalleled connectivity with Gurgaon and Manesar, the real estate development in the area has seen an upsurge. The infrastructural development in and around the area has played an instrumental role in its growth. It is likely to evolve into a seamlessly connected real estate destination. 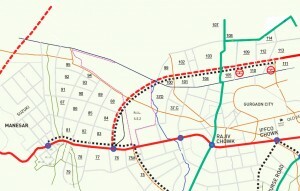 After it is complete, it will provide faster access to the airport; connect close to the 100-metre-wide road proposed in the new master plan, and the areas will also have good connectivity with the proposed diplomatic enclave and the current Metro corridor. This is the prime reason for the buyers and investors to be bullish about this zone. Sectors along Dwarka Expressway are going to be well planned, premium, contemporary urban area when complete as per the Gurgaon Master Plan-2021. One can easily say that the areas that will fall in the periphery of this expressway will become posh areas and will compete with areas like Shanti Niketan and Vasant Vihar. It won’t be ambitious to easy that the areas that will fall in the periphery of this expressway will become as posh as its neighborhood in the noble southern part of Delhi. The faster access to the Indira Gandhi International Airport draws in vote from the NRI clientele too. Educational institutions will also be there. The lifestyle here is going to surpass the ordinary. The investment value of residential properties along the Dwarka Expressway has not been lost on investors, who are now making a beeline to residential developments in this area. No wonder country’s leading developers have launched their projects here. The various residential options are available at a price lesser than most places in Gurgaon. The response to the projects has been phenomenal as the buyers have started to realize what potential the area holds. The pace of development is strong and the return on investment will be high in this area. The prices in the area have almost tripled – from Rs 2,250 per sq ft to Rs 6,250 per sq ft. The expressway will also open up avenues for planned commercial and urban development in the region. In fact commercial development is visible in and around Dwarka Expressway. It has been rechristened `New Gurgaon` due to the booming IT/ITES sectors, corporate offices, shopping malls, markets etc here. Most of the consumer base in this region is the upper and upper-middle class working segment. For working professionals in Manesar, Gurgaon and Delhi, Dwarka Expressway is the ideal residential destination as well as an excellent investment option. The expanded supply in Dwarka Expressway would correct property prices in areas like the Sohna Road and Golf Course Extension Road. Also, a lot of developments are being launched in the affordable to mid-sized market segment of residential housing. In fact, these areas are now emerging as the answer to the question of what will fill the gap for mid-income housing demand. The planned commercial belt along with The Dwarka Expressway and coupled with its proximity to New Diplomatic Enclave is attracting top notch MNCs, international hospitality brands, retail and entertainment industries.